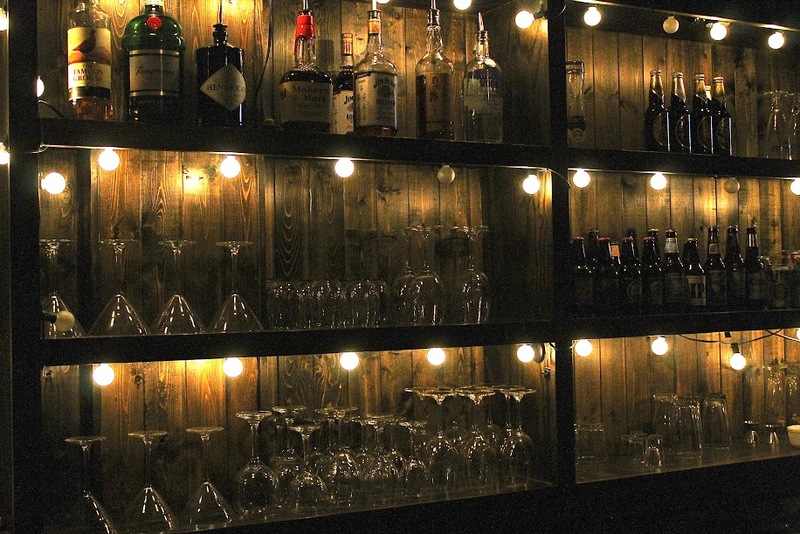 Q Enoteca is a premier wine bar and event venue created to serve the community with a comfortable, unfussy way to relax and enjoy a variety of wines, craft beer and laid back music. Q Enoteca occupies a historic building built in the late 1920s and restored in 2011. Lyle and Larnelle Foster have taken great pride in leading the revitalization of C Street, formally Commercial Street. Wine Bar: dimly lit with a small stage in the front windows, 14 ft. high ceilings, wood floors, exposed brick, family-style long wooden tables, bar stools and chairs provide many seating options. Library: a private dining room area with a large 12 ft. wooden table, antique historical maps providing an intimate, private area to host a small gathering of 10-15 people. Event Hall: features an elegant, old-world style antique display case running the length of the room. High ceilings and plenty of space for a stage, chairs, portable bar, tables and chairs. Seats up to 120 people comfortably. Q Enoteca is managed by a gentleman with experience attending some of the most upscale restaurants, bars and parties from L.A. to New York. If you’re looking for a unique experience, look no more. Call (847) 962-7706 and ask to book Q or fill out the form below to request information and pricing.